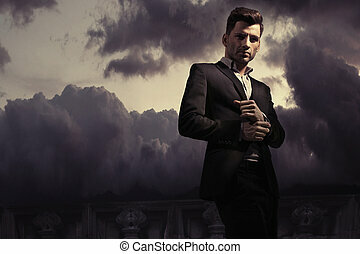 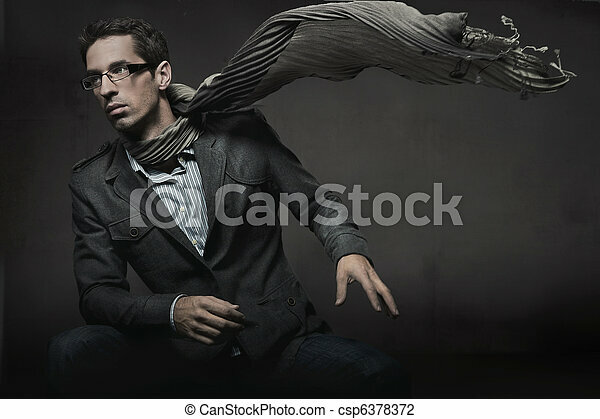 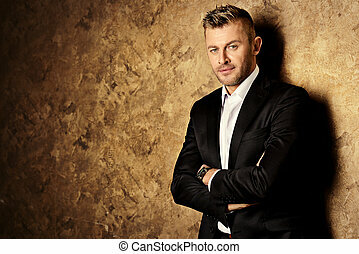 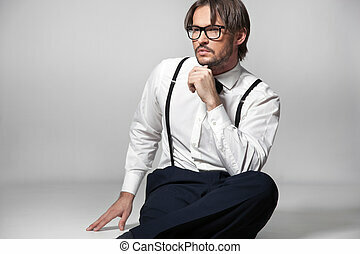 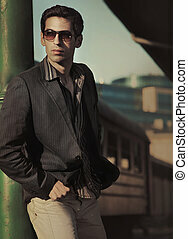 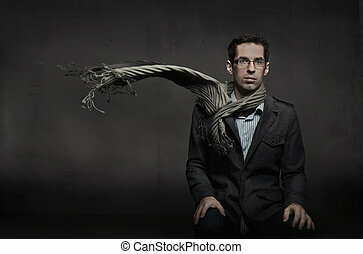 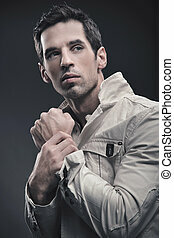 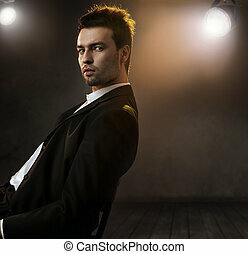 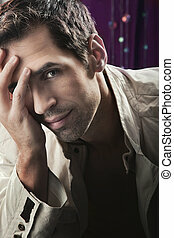 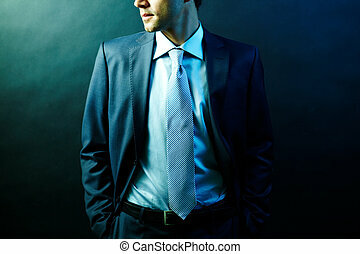 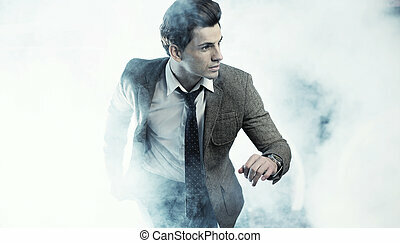 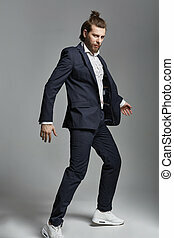 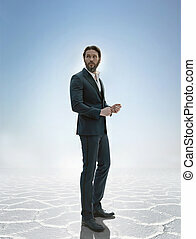 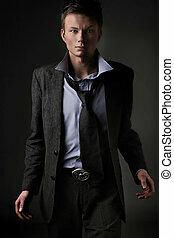 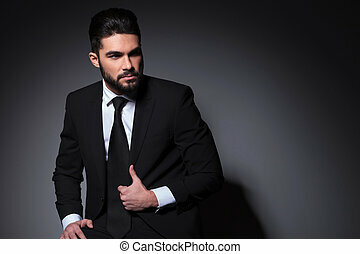 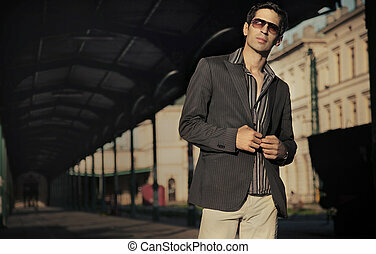 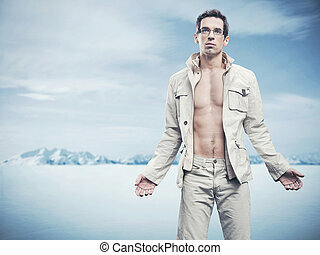 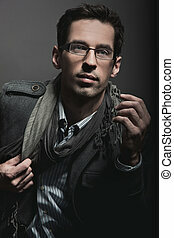 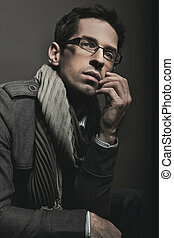 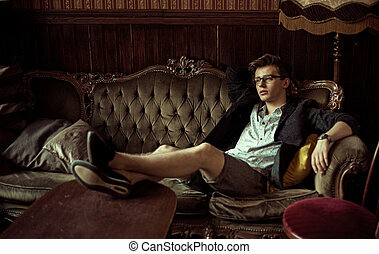 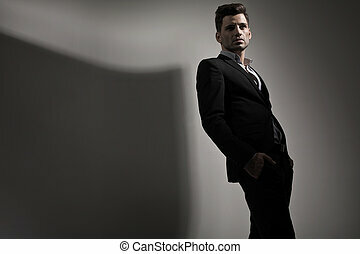 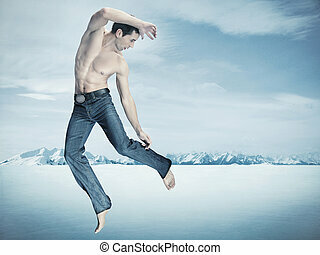 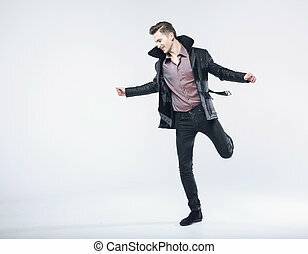 Gorgeous fashion style photo of an elegant man. 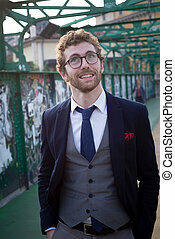 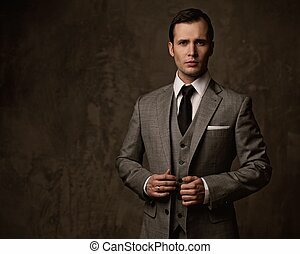 Portrait of a handsome mature man in elegant suit. 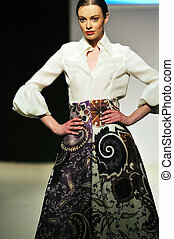 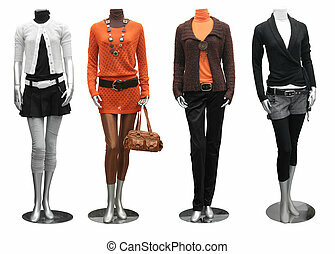 Fashion, beauty. 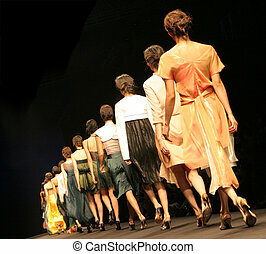 Models on the catwalk during a fashion show. 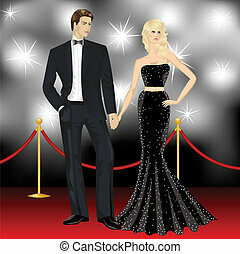 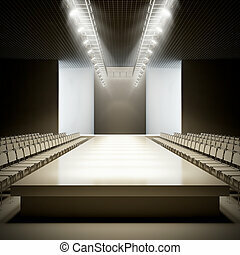 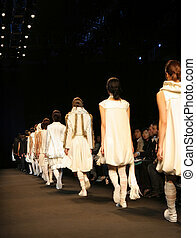 A 3D illustration of fashion empty runway.